NEW YORK (Reuters) - U.S. stocks rallied on Friday, helping Wall Street's major indexes advance for the fourth consecutive week, as increased hopes the United States and China would resolve their trade dispute lifted shares across sectors. The market was boosted after a Bloomberg report said China sought to raise its annual goods imports from the United States by a combined value of more than $1 trillion in order to reduce its trade surplus to zero by 2024. The news followed a report on Thursday that U.S. Treasury Secretary Steven Mnuchin was considering lifting some or all tariffs imposed on Chinese imports. A Treasury spokesman denied Mnuchin had made any such recommendation. A strong rally in January has put the benchmark S&P 500 index on track for its best monthly gain since March 2016. The S&P 500 is now 8.9 percent below its Sept. 20 record close after dropping 19.8 percent below that level - near the 20-percent threshold commonly considered to confirm a bear market - on Christmas Eve. "It's risk-on again," said Tim Ghriskey, chief investment strategist at Inverness Counsel in New York. "We've gotten an olive branch from China regarding trade. Obviously there's been a very positive reaction from the market." The Dow Jones Industrial Average (.DJI) rose 336.25 points, or 1.38 percent, to 24,706.35, the S&P 500 (.SPX) gained 34.75 points, or 1.32 percent, to 2,670.71 and the Nasdaq Composite (.IXIC) added 72.77 points, or 1.03 percent, to 7,157.23. 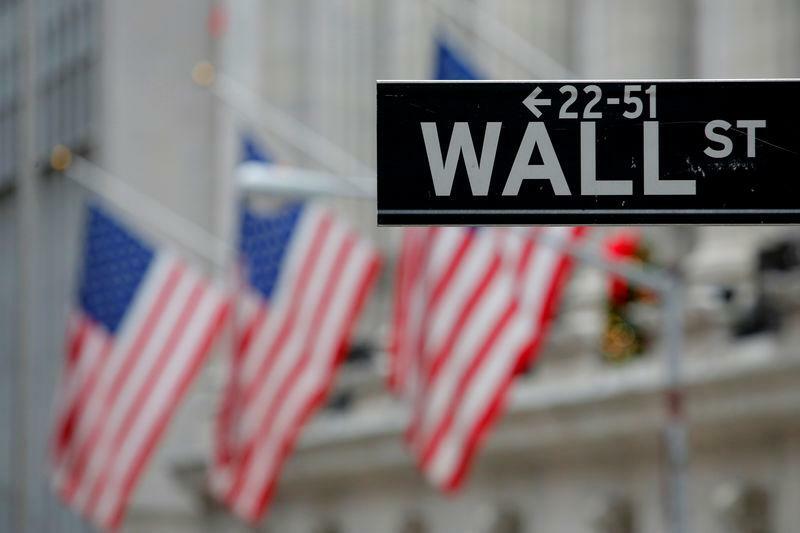 For the week, the Dow rose 2.96 percent, the S&P 500 gained 2.87 percent, and the Nasdaq added 2.66 percent. All three indexes registered their biggest four-week percentage gain since October 2011. U.S. stock markets will be closed on Monday for the Martin Luther King Jr. holiday. Industrial stocks (.SPLRCI) rose 1.9 percent, the second-most among the S&P 500's major sectors, while the Philadelphia SE semiconductor index (.SOX) climbed 2.3 percent. Both groups of shares have been sensitive to trade developments. Technology stocks (.SPLRCT) were the biggest boost to the S&P 500, rising 1.5 percent. Even with the session's gains, relatively light trading volume during the week indicated some investors were still waiting on the sidelines. On Friday, volume on U.S. exchanges was 7.99 billion shares, compared to the 8.44 billion average over the last 20 trading days. "A lot of people have liquidated their positions coming into earnings so that they can react quickly as earnings come out," said Mark Otto, global market commentator at GTS in New York. Analysts have lowered their fourth-quarter earnings forecast for S&P 500 companies to 14.2 percent year-over-year growth from 20.1 percent estimated on Oct. 1, according to IBES data from Refinitiv. Shares of Schlumberger NV (SLB.N) jumped 8.1 percent after the oilfield services provider reported quarterly revenue that beat estimates. Shares of Netflix Inc (NFLX.O), however, fell 4.0 percent after the video-streaming company forecast lower-than-expected revenue for the first quarter. Advancing issues outnumbered declining ones on the NYSE by a 2.93-to-1 ratio; on Nasdaq, a 2.26-to-1 ratio favoured advancers. The S&P 500 posted three new 52-week highs and no new lows; the Nasdaq Composite recorded 32 new highs and 22 new lows.